Following an in-depth overview of Windows Home Server "Vail" we have been digging to find out more information on code name "Aurora". It appears Rafael Rivera's original discovery that it could be the next generation Small Business Server is spot on. Several different sites belonging to Small Business Server team members have been discovered. The first is http://bjosbs.com/ which belongs to Becky Ochs, program manager for setup and OEM of Windows Small Business Server. 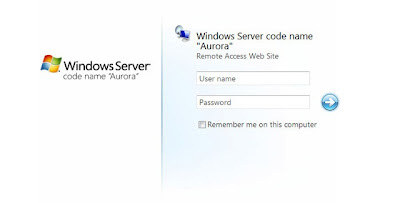 On the site it's clear that "Aurora" is part of the Windows Server branding. The second site is https://www.wanderingkiwi.com/ which belongs to Guy Haycock, senior product manager, Windows Small Business Server. Little is known about "Aurora" yet but it seems it already shares components with "Vail". The remote access console is identical. It's possible that both could share similar codebases with one targeted at small business's (Aurora) and the other at home users and small home office users (Vail).